Kinowelt, the German company that recently released Season One of The High Chaparral on DVD, is planning to release Season Two of The High Chaparral. Expect the second DVD set in late 2010 or early 2011. What??? 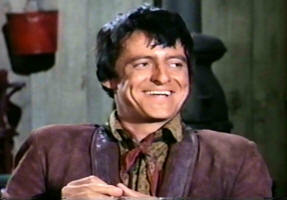 You haven't taken the 2011 High Chaparral Reunion survey yet? What are you waiting for???? Take a few minutes to give us your input on location, dates, events and activities, and whatever ideas you have for the 2011 Reunion. Click here to take survey. 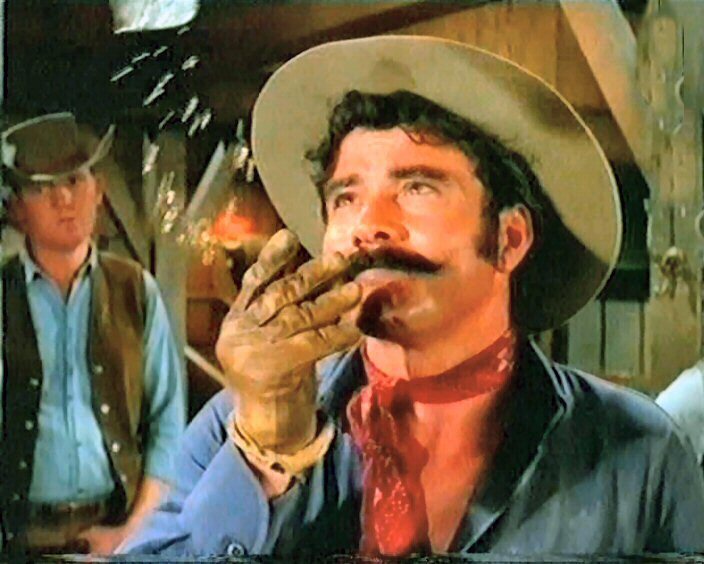 Enthusiasm is already running high for the main event in the High Chaparral fan calendar - and we want YOUR voice included in the planning so take the survey. 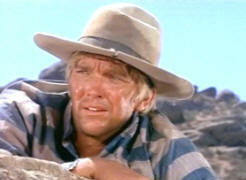 High Chaparral guest star Denny Miller (A Way of Justice) reports a busy summer season. Denny is the Spokesman for the Southern Nevada Conservancy which recently opened a new Interpretive Center at Red Rock Canyon, Las Vegas. They have just completed a ten million dollar Interpretive Center in Elko, NV. He appears at the Elko Nevada California Trail Days at the end of May to help open the new Center and is scheduled for another Elko appearance in mid-August. Despite other celebrity appearances all summer he is also writing another book. Denny’s fans can visit his website at Denny-Miller.com – check out the official Duck Shannon (Denny’s Wagon Train character) rubber duck while you’re there. 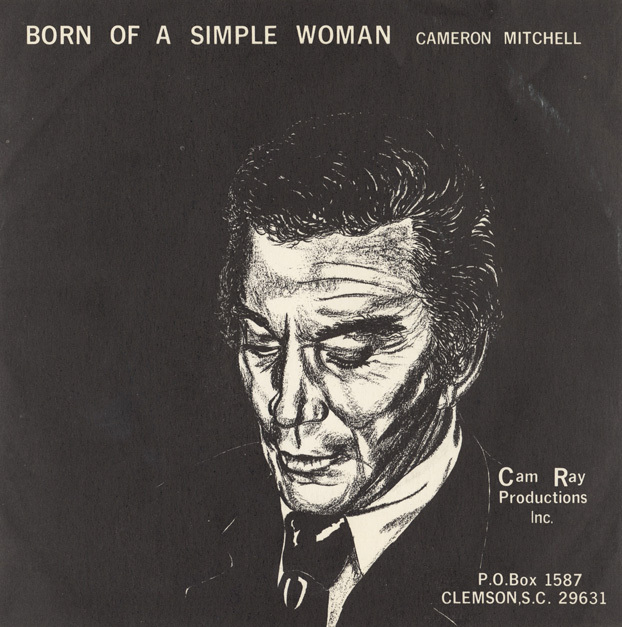 Whilst looking through the February 2010 edition of the High Chaparral Newsletter, I read the article on Cameron Mitchell’s recording of something he had written himself – ‘Born of a Simple Woman’. I hit the link to listen to what it was all about, and after hearing it twice I found myself in tears. I was moved by the words, the music and the simple way Cam had of painting a word picture of what Easter was all about. Clearly Cam had a spiritual side to him that understood what the love of God was all about. In my job as a Pastor/Minister of Religion I wanted people to hear this as an Easter meditation. Therefore I played it at two mid week Services at Rest Homes during Holy Week, the Good Friday Service at Church, and a post Easter gathering for the local community - those who prefer not to meet in a Church. In each of the service/gatherings there were people who were brought to tears as they heard, in such a different way, the ‘same old story’. The words were powerful and helped so much to find the simple truths of Easter. I was so pleased, and hoped that Cam would have been too, to know that all these years’ later people are responding to his words about the Love of God, and his Son Jesus, who was born of a simple woman. Thanks Penny for including Cam’s words in the newsletter, and hope you find many more hidden treasures like this in the future! Have you ever wanted your very own message from Manolito, Victoria, Sam or Reno? It’s easier to get than you think! 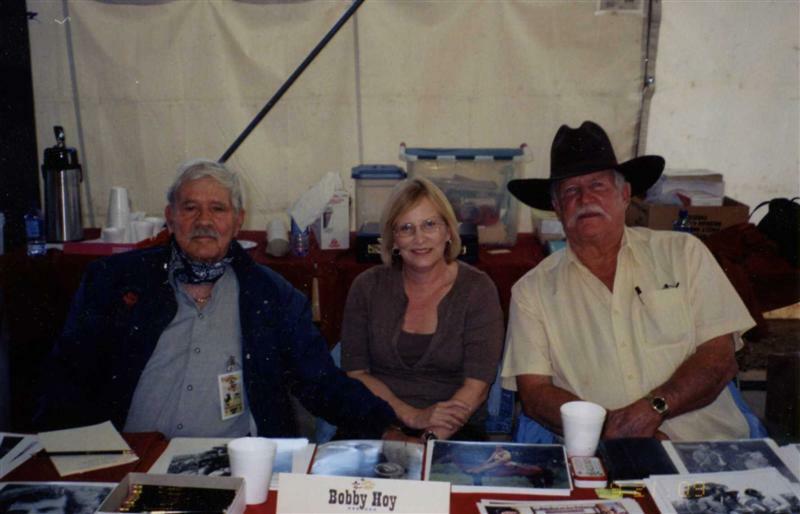 Out West Entertainment, founded and run by Ginny Shook, sells personally autographed photos of The High Chaparral stars. “I also run websites and arrange bookings for them at Western festivals and celebrity events,” said Shook, who is webmaster for a long list of sites. Out West Entertainment features photos from Linda Cristal (Victoria Cannon), Henry Darrow (Manolito Montoya), Don Collier (Sam Butler), Ted Markland (Reno), and Rudy Ramos (Wind). Fans can also purchase CDs from Rudy, Linda, Henry and Don. Every item can be autographed with a special message and personalized specifically for the fan or as a gift. “Mr. 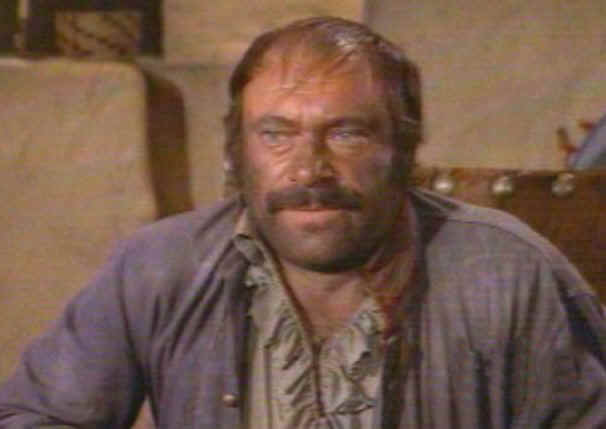 James Victor is also on the site and he’s my only non-High Chaparral client. He’s a good friend of Rudy, Henry and the late Bobby Hoy (and Marie Gomez, who played Perlita).He is a multi-talented, versatile actor, and I always wonder how HC didn’t get around to casting him,” Ginny said. With such heady surroundings, Shook knew she could promote the HC stars for further bookings at similar festivals. Hoy and Collier agreed. She suggested selling personally autographed photos online as well. “Bobby called Henry, Rudy, Linda and Ted and told them the plan. With their permission he provided me their phone numbers. Then I nervously called them myself and it took off from there. Visit Out West Entertainment to see each of the High Chaparral celebrity photos and CDs. Thanks for keeping me in the loop so I can get all the latest info about High Chaparrel. We've been traveling all over doing conventions and things so I missed out on adding to the memories of Bob Hoy. I can only add that I knew him to be willing to take on more than was asked of him. He was my stunt double for several shows as well as HC and we sometimes hung out, which was I thought unusual for an actor and a stunt person. We talked union things and other stuff like the natural progression to become a 2nd unit director, we even shared time at celebrity conventions. I admired and respected him, moustache and all. I'm sorry he's gone. This month’s article arose from a simple question my son asked me. After watching a western, he commented that he would like to try beef jerky. He then asked, ‘How do you jerk meat?’ After recovering from the shock of such a question, my best answer was, ‘How should I know?’ This is what comes with encouraging your children to ask questions. Since I can never let things go once my curiosity is piqued, I had to find out. One thing led to another and today we will look at how some words and expressions arose. Note though, that interpretations vary from place to place so don’t be surprised to find some cases where a different explanation is given. For example, many sources attribute the expression ‘in hock’ to the old game of Faro while others insist it is of Dutch origin and has nothing to do with Faro. We will start with the mysterious jerky. I took the word jerk literally (as one does) and couldn’t begin to imagine how the sudden wrenching and twisting of a piece of meat could produce the mummified strips that we call beef jerky. I suspected salt was involved but that was about it. After considering the whole muscle physiology angle, I concluded that ‘jerky’ had to have another meaning. It does. The word is a corruption of a French word charqui. When you say it, it does sound a bit like jerky (okay, so extend your imagination a little). Charqui means dried meat, in particular, dried beef. Since there were many French trappers back then, one can assume that when eating the dried meat, they used the word and an English modification resulted. Or maybe it came from mishearing ‘charqui’ at the saloon. Incidentally, another French word salon, meaning hall or large room, is where we get saloon. Saloon bring us to whiskey. I knew the old farmer’s term bumblefoot referred to an infection that often affected poultry* (ulcerative pododermatitis) but I had not heard of tanglefoot until HC came along. I would never have associated the word tanglefoot to mean whiskey but it does. I am only guessing here but my theory is this: The word tangle is related to the Swedish taggala, meaning to disarrange, jumble or entangle. Coupled with ‘foot’ it’s not a huge step to assume that a person’s normally functioning legs became tangled after a few too many drinks. Consequently, the drunken stagger could be considered tangled feet. Red eye, something Buck orders often, is easier to understand. A night on the town has produced more than one pair of bloodshot eyes. You might like to know that whiskey (also spelled whisky) comes from two Irish/Gaelic words meaning, waters of life! Too much liquor landed people in the hoosgow (or hoosegow), meaning jail. Hoosgow is believed to come from the Spanish juzgado, meaning a court - and associated cell one may be locked up in later. That one takes a wee bit more of a stretch of the imagination. To be in cahoots is another one with a French origin. The word cahute means cabin. Teams of French trappers often shared cabins. Understandably, they lived apart from the English so they could speak their native language together. They were, to the English speaking people, living in cahoots. Not all were trusted and over time, this took on a negative connotation. Nowadays it means working together as partners, in collusion. Holler is another good one. This means to shout or exclaim loudly. Many ranchers went weeks or more without meeting friends. When they met in the towns, they shouted out ‘Hollo!’ or ‘Hello!’ The Spanish greeting ‘Ola!’ sounds similar. Over time, these loud greetings were referred to as ‘holloing’. Some young ladies who shouted out this way were reminded to, ‘Stop holloing, dear, it’s not lady like.’ The word later evolved to hollering. It took on added meaning to include when anyone shouted about anything, pleased or not. I rather like Many Irons in the Fire to describe juggling various tasks. Blacksmiths tended to work on several pieces of iron at once. This is because they could only hammer the red hot pieces briefly before they cooled and needed reheating. Having many irons in the fire was an efficient way to ensure there was always a piece hot enough to work on while the others reheated. Today we would call it multi-tasking but I prefer the Old West term. Bite the Bullet is another curious expression. It means preparing to do something difficult or unpleasant. When a person received medical treatment without anaesthetic, they were often given something small and hard to bite on to help them not to scream out during the procedure. I doubt that a bullet was ever given. They’re too small. If so, I expect the person performing the procedure would soon be dealing with a choking episode as well! At the end of a tiring day, we often say, ‘I’m all in.’ This phrase was born at the poker table. When a player had put all of his money on the table he was all in. He had nothing left to give. Saying I’m stumped also suggests being all in. Pioneers used to remove tree stumps to clear land for homes. When a stump was near impossible to move, the person was stumped. The stump got the better of him. This is another example of debatable meanings. Some people credit the expression with the game of cricket. Cricket uses three wooden stumps that can lead to the batter being ‘out’. Either way, getting stumped means you can go no further. Left-ness also led to, Getting out of the wrong side of the bed meaning one is having a bad day or is in a terrible mood. Superstitious people believed one must get out of bed putting the right foot on the floor first. Those who put their left foot down first were headed for a bad day, hence got out of the wrong side of the bed. Out of a simple question, I have developed an interest in learning more about the history of these western expressions. I learned much writing this article – including that beef jerky is definitely an acquired taste! A 7 DVD set of The High Chaparral in German and English is available from Kinowelt, a leading film distributor and DVD provider in Germany. Kinowelt is a national and international licenser of film and television rights. The DVDs are in PAL (European) format with both German and English languages and Dolby sound. In the U.S an all region/all format DVD player is required to read the PAL formatted discs, however most newer model players are all region. Check the manufacturer/model documentation to be certain. Computer DVD players will typically always play back a PAL formatted disk so the episodes can be watched that way if the TV DVD player won't accept the PAL format. The set covers the first season, including the two hour pilot. The website at Kinowelt has beautiful clear photos from first season episodes. Episodes on the Kinowelt set have crystal clear, crisp sound and picture quality. Regular season episodes appear to be complete and uncut and of exceptionally high resolution. Fans have reported a small amount of difficulty with the first disk in the set, as the initial scene with Cochise has been over-dubbed in German instead of English. There are also reports of a slight playback problem on that disk which requires a quick fast-forward, and there are a few sort scenes missing in the pilot. Aside from these minor issues this release has HC fans happily watching complete, crystal clear episodes from season one of The High Chaparral. When I reported the playback issue to both Kinowelt and Amazon, I received a replacement immediately, so am pleased with the good customer service. 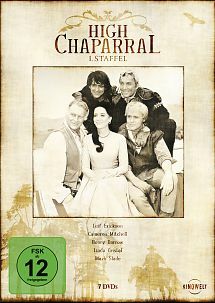 Kinowelt is currently planning to release Season Two of The High Chaparral in late 2010 or early 2011. The set is listed on Amazon Germany for $39.95 EU. In the mid-90’s a group of Western TV fans chatted online in Yahoo’s groups, sorting themselves into areas of interest. The High Chaparral Discussion Group (HCDG) and High Chaparral Fan Fiction groups were small but retained a longstanding love of the show. With Bob Hoy on board and enthused, plans accelerated quickly. “It was Bob who suggested The Sportsmen’s Lodge,” Billen-Meija said. “He said everyone knew it and they did a great Sunday brunch. I think people don’t know everything Bob did to create that first reunion.” As Bob contacted celebrities fan excitement grew. Andy Klyde gave permission to use the show’s name and suggested David and Rose Dortort attend. The High Chaparral Reunion was now a reality. Denise Billen-Meija ran three successful Reunions in 2003, 2005 and 2007, each larger than the last. The Sportsmen’s Lodge, a history-filled Hollywood gathering spot, became the official home of the HC Reunion, with a weekend culminating in an afternoon brunch with the stars, production crew and anyone associated with the show. Denise and her committee defined many Reunion staples – a chance to meet other HC fans, viewing of uncut episodes, good food shared with the cast and crew. Most importantly, her vision of a time for fans to honor and thank the talented artists who created The High Chaparral set the standard for all future events. 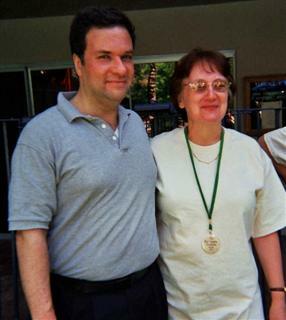 But after the 40th Anniversary Reunion in 2007 it was time for the founder and chief organizer to pass the baton. Planning for the next event started almost as soon as one ended and the details were all-consuming. “I promised my family last year that I would not do any more,” Billen-Meija said. 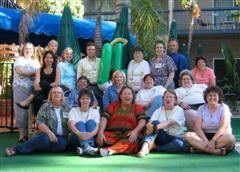 Destination Tucson 2009 continued many High Chaparral Reunion traditions. “That was important to us. Honoring the cast and crew, special one on one time with the stars, showing uncut episodes, fans meeting each other and forming friendships. We wanted to include all of those things,” McQueen said. Tucson and especially Old Tucson provided new opportunities for special events. 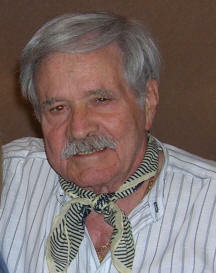 “We had newspaper and TV coverage, and Tucson still remembers High Chaparral. There were over a hundred people at the ranch set! Like the old days when the show was filmed – very exciting for everyone and the cast loved it. For the fans it was an emotional moment, walking up the hill to the ranch, seeing the stars gathered at the Cannon ranch house.” Fans came from all over the world; such faraway places as Argentina, Brazil, Mexico, England, Australia, and New Zealand to share in the celebration of this special show. Why do the wagon wheels in westerns usually look like they are rolling backwards? This is called the strobe effect (strobos is a Greek word meaning ‘the act of whirling’). You probably know that films are a series of individual pictures, or cells, that are run together giving the illusion of movement. Each picture is framed by a border that keeps it separate from the picture taken before and after it. This is where it gets the name cell, a small enclosed area. (To get an idea of their appearance, just remember what the old camera negatives looked like). Basically, it’s to do with speed of film versus speed of wheel turning. The film used to make the westerns ran at a rate of 24 frames per second. That means 24 separate cells pass through the projector every second. Our eyes detect the 24 little snapshots per second. This flashing of images is processed by the brain and rather than observing each individual shot, we see them running together as movement. Cameras use shutters to let light in, allowing a photograph to be taken. Shutter speeds are very fast, so as not to overexpose the film. In the old films, getting shutter speeds and frame rates to move in synch was difficult. Add to that, the impossibility of timing the wheels to turn at the same speed as everything else, and you can see how there is room for imperfection in what we see as we watch it. If the wagon wheels being filmed are rolling slower than the film on the camera is capturing their movement, they appear to roll backwards. As the wagon increases its speed, the spokes of the wagon wheels can then appear not to move at all! Quicker still and the spokes look like they are rolling faster than the wheel frame. That one is a rather strange effect. So, simply put, if the wheel is rolling backwards, the film is moving faster than the wheel. If it is rolling relatively in synch then wheel and film are going at about the same speed. When the wheel is apparently moving too fast for the rest of the wagon and wheel frame, it is traveling faster than the film. This effect is seen on other devices too. The next time you watch a roulette game, take note of the direction the wheel is spun versus the direction our eyes see it move. What’s moving faster in that instance, the film or the roulette wheel? In Clint Eastwood's movie, Outlaw Josey Wales, Bob Hoy features as one of the Texas rangers on the hunt for him? Watch out for him next time you see the movie. 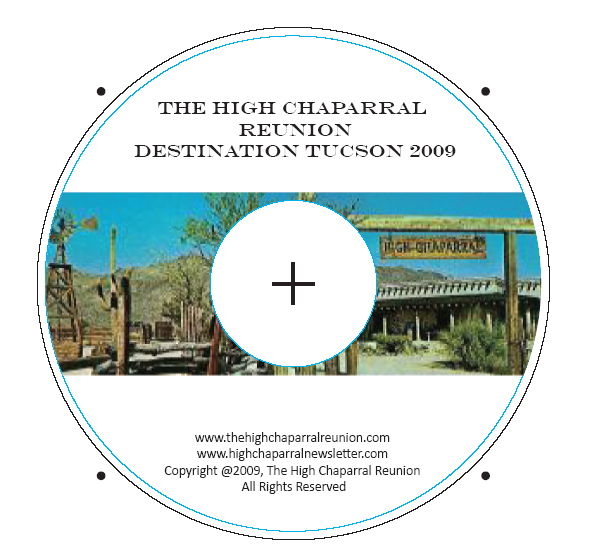 Post your comments and read what others have to say on the High Chaparral Reunion Blog. 1 May - Happy Birthday to Mark Slade!